REVIEW SUMMARY: On par with previous editions with 7 standout stories + 23 good stories – 3 stories mediocre or worse. BRIEF SYNOPSIS: Editor Gardner Dozois’ picks for the thirty-three best stories of 2010. PROS: 30 stories worth reading, 7 of which were outstanding. CONS: 3 stories were less enjoyable. BOTTOM LINE: A worthwhile anthology that captures the state of modern sf. Continuing what appears to be a disturbing emerging trend to this short fiction reader, I’m late to the party in reading this anthology essential to anyone wishing to get a glimpse into the current state of sf. The Year’s Best Science Fiction: Twenty-Eighth Annual Collection is the 2011 edition that showcases editor Gardner Dozois’ picks for the thirty-three best sf stories of 2010. Here it is 2012 and I’ve only now finished it. In some alternate universe, John-Prime is reading all the books and stories that I want to read. “A History of Terraforming” by Robert Reed isn’t so much a story about the terraformer named Simon whose centuries-long life we see through several hop-skip-jump glimpses into his life…as much as it is a history of mankind’s foibles in colonizing the solar system, with all its ups (expansion) and downs (near genocide). This centuries-long evolution is ascertained by piecing together the bits of world building exposition dispensed across each pit stop along Simon’s life, while each glimpse is (mostly) also a story unto itself. “The Spontaneous Knotting of an Agitated String” by Lavie Tidhar is a short but thought-provoking story about a technology that permits transference of memories. It’s essentially a single scene of an old woman in a marketplace selling her wares to a young girl…but that simplistic description belies how the evocative and culture-rich prose makes it feel more meaningful. Even so, I would have loved to see the idea used more fully. “The Emperor of Mars” by Allen Steele is immensely enjoyable for several reasons: it tells the poignant story of the psychological effects on a working class man of working on a corporate-owned Martian colony; the story serves as homage to Mars-related science fiction; and Steele’s no-nonsense delivery of the narrative makes for easy consumption. Any one of these would make a story enjoyable. All of them in the same story makes it a winner. As a fan of John Carpenter’s film The Thing, and the story on which it was based (John W. Campbell Who Goes There?, reviewed here), Peter Watts’ story “The Things” is a delicious treat. It’s the story told in the film as seen from the creature’s point of view. Just like the film is steeped in mistrust and paranoia, Watts’ story is filled with fear and confusion on the part of the creature who experiences his existence in ways feeble human minds (or “thinking tumors” as the creature calls them) can comprehend. Great stuff. What Geoffrey A. Landis has created in his story “The Sultan of the Clouds” is a wonderful balance between sense of wonder, mystery and classic science fiction. It begins when an ecologist (Dr. Leah Hamakawa) and the technician who pines for her (David Tinkerman) are summoned from Mars to Venus by the planets effective ruler: a brash, young magnate whose reasons remain a mystery for much of the story. As that mystery unfolds, the reader is treated to a host of well-imagined sf-nal tropes like floating cities, strange customs, manpowered air kayaks and pirates…all leading up to the Sultan’s true purpose which I had hoped would be a little less derivative. “The Books” by Kage Baker focuses on a group of youngsters that are part of what’s left of a traveling renaissance fair as they try to survive after some unexplained apocalypse. The narrator wasn’t alive when it happened; we see glimpses of how life is as they offer their wares in exchange for whatever they can get. The youngsters, fond of the few books that they have in their possession, come across a library where they find something unexpected. Interesting setting, but the story needed a more traditional conflict and climax. “Re-Crossing the Styx” by Ian R. MacLeod takes place aboard a cruise ship in a future where death has been replaced by posthumanism. The ship’s tour director falls for a pretty woman who is married to a one of these rich men, only to find that it is a love that can never be. Or is it? In this interesting tale, the simple premise soon gives way to a palpable tension as it swings from futuristic world building into a moderately predictable episode of The Outer Limits. “And Ministers of Grace…” by Tad Williams is a gripping action story about a devout Christian assassin on an undercover mission amongst the unenlightened, with world building that wonderfully captures the assassin’s “us vs. them” mentality. On top of this Williams adds the cool sf-nal concept of the “seed”, a device implant that, in the devout, allows them to hear the word of the Spirit, and in the Pagan, allows communication (and advertisements). I wish I could say that I enjoyed “Mammoths of the Great Plains” by Eleanor Arnason more than I did. It seemed to have promising elements: an alternate history in which mammoths survived into the 19th century; heavy characterization; and a narrative spanning several generations that lays out some fine worldbuilding. But the alternate history was combined with copious amounts of detailed family history and it just went on for way too long. More enjoyable was the scientific thread of quest to achieve cryogenic suspension. The veteran soldier of Joe Haldeman’s “Sleeping Dogs” returns to the planet where he fought in the war with the hope of regaining the memories the military made him forget to spare him the suffering of post-traumatic stress disorder. Haldeman’s on familiar ground here and that confidence shows through in this engrossing story. Steven Popkes’ story “Jackie’s-Boy” is set some time after an apocalypse; in this case, after disease has wiped out most of mankind. A young orphan named Michael discovers a gene-modified talking elephant (Jackie) with whom he forms a rocky relationship as they travel South trying to avoid the dangers of rogue survivor gangs and strange creatures. The journey is not the focus as much as their relationship, making for a touching story. Strangely enough for a science fiction story, the attraction of “Flying in the Face of God” by Nina Allan has little to do with the sf elements it contains. While the transformation of Rachel to post-human is interesting, the story is incredibly adept at drawing realistic, complex characters and relationships. The story successfully balances multiple aspects in the life of Anita, the point-of-view character, without anything seeming forced, and with everything being significantly meaningful. “Chicken Little” by Cory Doctorow first appeared in the Frederik Pohl tribute anthology Gateways and plays with the same themes of consumerism as Pohl’s and C.M. Kornbluth’s classic satire, The Space Merchants. In true Doctorow style, he ups the ante to the meta level by imagining the challenges salesmen would face in an age where anything could be produced/fabricated cheaply by anyone. Leon works for an agency that specializes in mega-rich clients who achieve pseudo-immortality but are confined to vats that keep them alive. His latest client has an idea for a product that is either pure genius, or total disaster. While it takes this story a while to be to the central conflict, the ideas presented are a worthy modern-day treatment of consumerism. “Flower, Mercy, Needle, Chain” by Yoon Ha Lee is based on a really interesting premise around the existence of handheld weapons that affect their targets in creative ways. However, the story itself is too short to develop the idea significantly, which is too bad because the main character, the tough assassin who wields these super-deadly weapons, is intriguing and complex. “Under the Moons of Venus” by Damien Broderick is the story of a disaffected man named Robert left behind on Earth while the large majority of humanity has been mysteriously relocated to a transformed Venus by an unknown force or entity. That same unknown force has swapped planetary Moons and changed orbit parameters. Robert desperately wants to return to Venus, where he was briefly before being returned to Earth, where he wallows in the lonely way of life like the rest of those left behind, including an Egyptian professor who has some interesting theories about the force behind the whole thing. Somber in tone and slow to reveal the situation, this story is introduced as being homage to J.G.Ballard. In Naomi Novik’s “Seven Years from Home”, a diplomat visits a distant planet on a bureaucratic mission to enlist them into the galactic confederacy. To accomplish this, she encourages a long, drawn-out war between to the planet’s two main factions: the nature-loving Melidians who command an amazing amount of control over all things biological, and the Esperigans who are also being prompted by the confederacy to find new way of attack. It’s a complex situation that rendered amazingly realistic by the first-person narrative. Novik’s beautiful language not only does an excellent job at world building, it also completely engrosses the reader in the story. Well done. Chris Beckett’s story “The Peacock Cloak” concerns a virtual world and the small group of superheroes who are offshoots of its creator. What ensues is basically a psychological game between the reigning creation whose rebellion prompted his godhood, and a new visitor: the newest offshoot of the virtual world’s creator (the “real” god). An interesting premise made more interesting by some mind games and a very cool and powerful cloak, but the ending seemed too uneventful for the ultimate stakes. Carrie Vaughn paints a chilling portrait of a strictly controlled population in “Amaryllis”. Marie, captain of a fishing ship which has a strict protein quota, must deal with a young member of her family “household” who yearns to be a mother, as well as her own past, the events of which have made her a second-class citizen…especially in the eyes of the shipping dock’s scale master who has the power to break up their family. Excellent world building, sympathetic characters, and a plot that has you anxious about its outcome mark this wonderful, well-written short story. “Seven Cities of Gold” by David Moles tries to accomplish many things. On a most basic level, it’s a re-telling of Joseph Conrad’s Heart of Darkness (which I haven’t read, but I have seen the retold as Apocalypse Now), except here we have an opium-addicted woman doctor (Nakada), who is part of some sort of humanitarian military agency, traveling upriver to “handle” an ex-nun accused of dropping the world’s first atomic bomb. It’s an alluring hook, with characterizations and descriptions that lend weight to the story. The problem I had came from the alternate history aspects of the story. The names of the places she visits are unrecognizable to the point where the appeal of alternate history is nearly lost. Additionally, it was hard to pinpoint the world politics that seemed to anchor the events. It was only after Googling the story after I read it that I fully understood the true nature of the world building (involving an 8th century Muslim invasion of Spain, leading to seven Catholic priests escaping to North America, and the in-story present day war) as well as the current events (post-9/11, post-Katrina) commentary that the author was aiming for. Had I read the introduction that apparently comes with the standalone publication, I can say in retrospect that the story would have had more impact. Rachel Swirsky lets loose a cavalcade of ideas in her super-short story “Again and Again and Again” [originally reviewed in Interzone #226. It depicts several generations of a family and the everyday tech that kids use to rebel against their parents. A single conceit taken to a quick, entertaining extreme. Hannu Rajaniemi’s “Elegy for a Young Elk” is one of those stories that throws new ideas at you almost faster than you can comprehend them. It takes place at a time when most of humanity has evolved to posthumanism is the sky except for a few who have stayed behind on Earth where a nano-plague has rendered technology useless. Kosonen is one of the stayers who is visited upon by his posthuman wife, Marja, and tasked with finding a “spark” that was lost in the city, the only place on Earth where posthumans cannot go because of the firewall that protects the city. An interesting groundwork, mind-bending ideas and a subplot involving Kosenen’s and Marja’s son make this a stimulating read. “Libertarian Russia” by Michael Swanwick takes place in a future Russia after some “Depopulation” catastrophe has left most of the rural areas without any government rules or protection. Victor is a self-proclaimed Libertarian who picks up a prostitute while he travels the countryside, where his political ideals are put to the test. A very good story that culminates in a confrontation with a surprising outcome. Lavie Tidhar’s “The Night Train” takes place in a future where body enhancements and digital technology abound and gender is not so cut-and-dry. Here, a body guard tries to protect a gang lord’s trip on a giant-slug-pulled train where she knows an assassin is waiting to strike. Disorienting while ideas come at you at a dizzying pace, but once you get a feel for this well-imagined future, you can see it might be very ripe for more stories. “My Father’s Singularity” by Brenda Cooper is a touching story of the ever-widening relationship between an old-fashioned father and his son who leaves the family farm and becomes a geneticist. 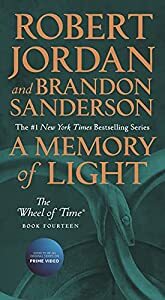 The story’s subtly in showing the passage of time by describing scientific advances is an excellent decision that keeps the focus on their relationship. “The Starship Mechanic” by Jay Lake and Ken Scholes is a light and humorous story about an alien who lands in San Francisco. Some real world elements (like Borderlands bookstore and mentions of current sf authors) ensure that the reader doesn’t take this too seriously. “Sleepover” is, by some measure, Alastair Reynolds reimagining of The Matrix. The protagonist, Gaunt, awakens from cryosleep expecting to find the promise of immortality. Instead, he finds a colorless, post-apocalyptic world where humanity is consigned to the role of caretaker while superior beings wage war in another dimension called the Realm. The wonder of the story is how that scenario unfolds for the reader. While the ending seems slightly anti-climactic (and the point of the closing paragraphs entirely lost on me), it still stands out as excellent story overall. Pat Cadigan’s “The Taste of Night” [originally reviewed in Is Anybody out There? edited by Nick Gevers and Marty Halpern] is about a woman named Nell who seems to be developing a sixth sense that could very well be a conduit for communication with alien intelligence. This new ability causes confusion with her other senses, giving her synesthesia (see also Jeffrey Ford’s “The Empire of Ice Cream”). That confusion is communicated through prose that is syntactically correct, but oftentimes illogical. So although this condition is explored, the ending seems to lack any conclusion. “Blind Cat Dance” by Alexander Jablokov is set in a society where animal perception is altered so that all traces of mankind remain invisible. To the animals, they are walking in their natural habitats, but really they are walking amongst humans. Against this backdrop plays the story of a group of friends, and the point-of-view character who holds unrequited love for one of them. Some analogies are made between what the animals can see and what people fail to see…but the story left me feeling less than impressed. “The Shipmaker” [originally reviewed in Interzone #231] is set in the space age of Aliette de Bodard’s Xuya continuity where China discovered America. I haven’t read the other stories, but if they’re like this one, they are appealingly steeped in culture. Here, a designer (Dac Kien) of a living ship is under pressure to complete her work before a foreigner Mexica woman gives birth to the human/machine hybrid that will act as the ship’s mind. It’s an interesting concept and one that offers a thoughtful parallel Dac’s life; specifically regarding her choices of a “less than noble” profession and regarding a same-gender relationship which means not propagating her lineage, a cultural shame for she which compensates by “birthing” these living ships. There’s and interesting standoff in Ted Kosmatka’s “In-Fall” between an old man and his young terrorist prisoner, opponents in some war, aboard a ship that’s plunging into the depths of the black hole. The situation it sets up is interesting, but the story, a one-scene snapshot of some larger story with more meat, felt like a detached part of a larger unseen whole. “Chimbwi” by Jim Hawkins is the story of a physicist who is a refugee from a collapsing Europe to the much more technologically advanced Africa. Well, it seemed like more of a portrait on those otherwise interesting state of affairs, but there was not much else driving the story forward. I usually enjoy Robert Reed’s short fiction, which might me why “Dead Man’s Run” was something of a disappointment. It revolves around a group of runners in a despondent future (though that doesn’t matter) where people can upload their thoughts. When one of them is murdered, his backup consciousness, powered by an artificial intelligence, urges the protagonist to find his murderer. The story shifts between flashbacks, which are supposed to serve as character backgrounders, and a run where this close-knit group chases the rival and lead suspect. But the story goes on far too long without really going anywhere. What is essentially supposed to be one long chase scene is hardly riveting, and the story is interspersed with conversations that don’t last longer than two lines before switching context again. The story did pick up some when suspect and motive were revealed, but it was far too late. I think you made a typo or something equivalent. You mention Yoon Ha Lee’s “Flower, Mercy, Needle, Chain” as one of the seven stand-out stories in the beginning of your post, while giving the story only three stars in the review section. Thanks, Jetse. You are correct. That should be “Flying in the Face of God” by Nina Allan in the standout list. Will fix. That would a be a ton of stories to work through, but would ultimately be an interesting project. Until I started reading novels more, I used to read the Dozois anthologies every year. Back in December, I spent part of my vacation using Dozois’ Year Best anthologies to catch up on important stories I’d missed in the 80s and 90s. It was a lot of fun. Some good stuff too. I used to think that Hartwell’s picks were more my style, but Garnder’s picks have grown on me. I actually forked out big bucks for a copy of Volume 1, but the big read-thru from the beginning of the series hasn’t started yet. I was surprised, recently, to see that ebooks.com now offer Volumes 1 and 2 as e-books. Alas, as a non-USA reader I’m not allowed to order them, but it may be a good option for you, John, since a paper copy of Volume 1 is quite expensive.